Attention to the problems of geriatrics of health care institutions and social welfare, all health care workers and individuals working in related fields associated with rendering of geriatric care becoming increasingly important in addressing as the individual problems the pensioners, aimed at preserving their physical, mental and social health, so and tasks related to the economy of the state, the growing prosperity of the entire population. Thus, Geriatric Medicine is aimed at preserving, maintaining, restoring the functioning of older people and is committed to achieving their independence and improve quality of life and emotional well-being. 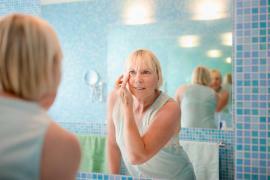 There are many problems that are common to older age contingents and of the entire population. However, some of them reflect the specific characteristics and needs specific to elderly and senile age. This is primarily the provision of health and social care. They are inseparable from the problem of continued employment, prepare for the transition to retirement age, the definition of sustainable lifestyles. adenoma and cancer of the prostate. 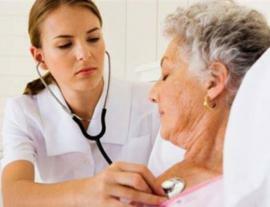 Geriatric Medicine is closely related to Social gerontology. Social gerontology studies the influence of living conditions on the process of human aging and developing activities aimed at addressing the negative effects of environmental factors. This teaching on the relationship between the age of an aging man, his health and working conditions in the environment. Social gerontology deals with issues sanitary statistics, the impact of population aging on the development of the country and, on the contrary, the development of the country on the level of providing the elderly, the situation of older people in the family and society, the relationship between the generations, and others.